Exactly as I ordered! Came on time! 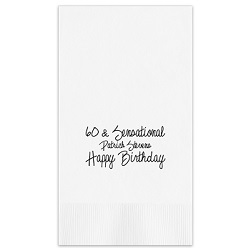 The napkins were perfect for my Dad's 90th Birthday celebration. They looked exactly as I ordered and they came on time! Signs that you are birthday-party-planning pro? You have the local bakery on speed-dial and your streamer collection is threatening to overtake your coat closet. 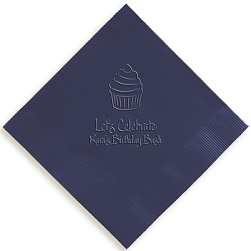 And...you turn to Giftsin24 for your party napkins. 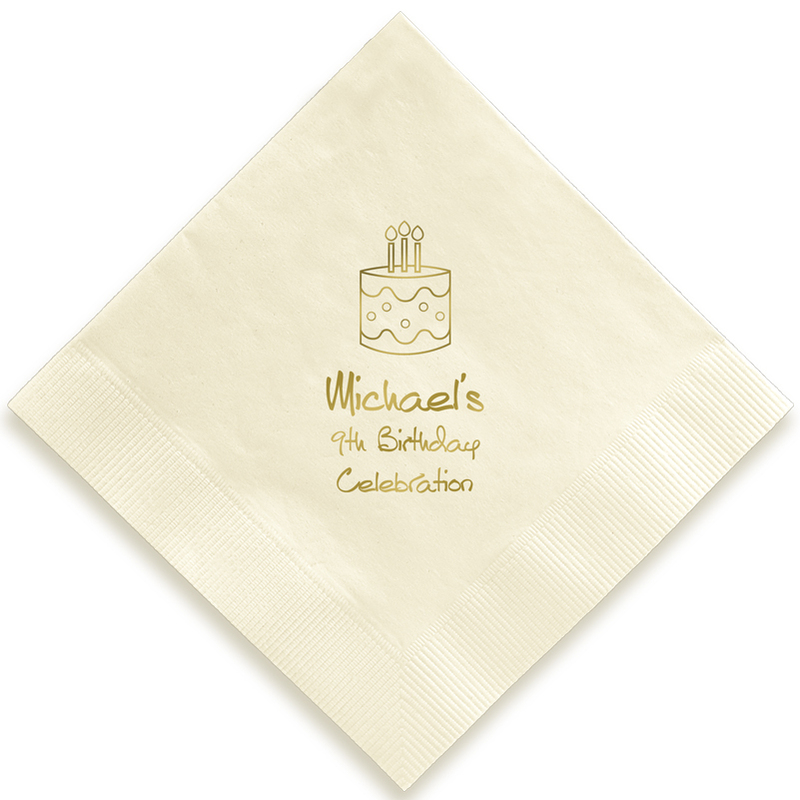 Our Birthday Foil-Pressed Napkins give you lots of options--from lettering styles to paper colors to motifs. They go the distance for you, from a toddler's party to a sweet sixteen or even a surprise 50th for your hubby. 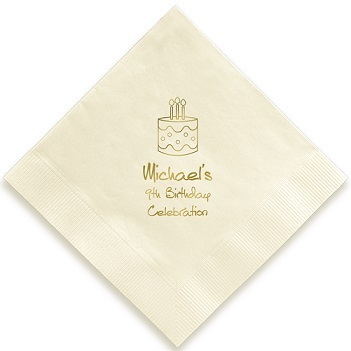 Motifs include: birthday cake, balloons, cupcake, present, happy birthday and over the hill. 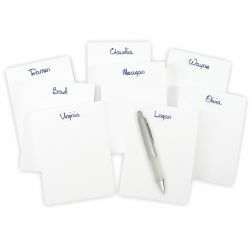 We will print up to three lines of personalization.